Drug and Alcohol Addiction Information Resource for Thompson, MB. 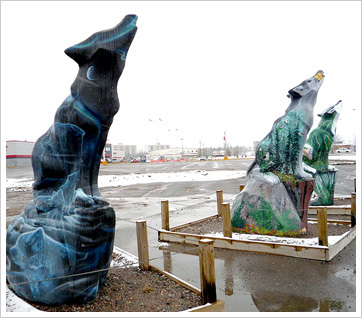 Thompson, Manitoba, in the northern region, is the third largest city in the province with a population of 13,256 residents. It is the trade center for northern Manitoba, servicing anywhere from 36,000 to 65,000 Manitobans. Known as the “Hub of the North”, it continues to be the region’s center for politics and commerce. The city was established in the 1950s as a mining town after ore was discovered in the region. Nickel-related activities remain the most prominent industry, with much mining, milling, smelting, and refining. As well, many federal and provincial government agencies have offices in Thompson. Again, as the hub city for the region, the retail sector is an important industry, servicing many from surrounding communities and small towns. There are a number of local attractions that celebrate the wild beauty, culture, and Sobriety of the city, including Spirit Way. 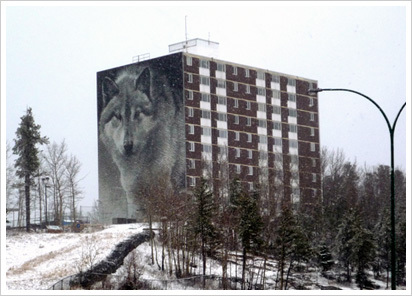 Unveiled in 2008, the Spirit Way is a two-kilometre foot and bike path with 16 points of interest that highlight local art, Sobriety, culture, and industry including the large wolf mural on the side of the Highland Tower apartment building. Alcohol is the most commonly used substance in Manitoba. The Addiction Foundation of Manitoba (AFM) found that approximately 54 percent of all Manitoban students have consumed alcohol in the 12 previous months. Although only marginally, boys are more likely than girls to drink, as well as students in more senior years versus the younger students. For example, about 90 percent of senior students have consumed alcohol, compared to close to one-third of young students. Alarmingly, almost 25 percent of Grade 7 students are ‘current drinkers’, increasing to over 80 percent of Senior 4 students. Of these young students, in Grade 7 boys are more likely to be current drinkers than girls. However, in Grade 8 through to Senior 4, male and female alcohol use prevalence rates are almost identical and alarmingly high—about 60 percent in Senior 1, over 70 percent in Senior 2, 80 percent in Senior 3, and 84 percent in Senior 4.